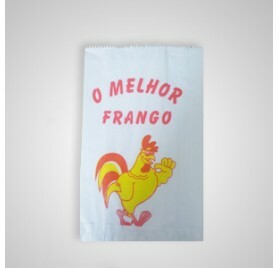 Description: Bag paper with polypropylene window. This bag has the advantages of being aesthetically appealing and the fact that a window makes highlight the product you are selling and what will become attractive purchase. With metal flap can make a perfect acondecionamento the product and its flat bottom keeps bag standing. uses for this bag: These bag can be used to package food products (almonds, chocolates etc ..).